First and foremost, thanks to Netroots for NOT coming to Providence last year in solidarity with our hotel workers who were staging a boycott. Dollars not spent make as much of a difference as dollars spent, and we were thrilled to instead have you here in an election year to help get the base fired up nationally and in our own backyard. 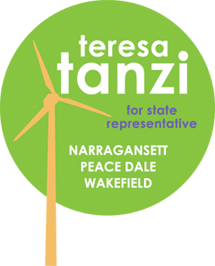 My name is Teresa Tanzi. I am a freshman state legislator who beat an 11 year incumbent, Chair of the House Judiciary Committee, anointed son of a political dynasty family, with access to nearly unlimited funds, in my very first run for political office. Not even my own family thought I could win, but I did. I am a progressive woman who ran against a status-quo democrat, in what was repeatedly labeled as a conservative district.I knew people were ready for something different and I proved it- winning in every precinct. Here in Rhode Island, I may not be completely alone, but I am one of the few proudly calling herself a feminist and a progressive who holds office. Before being elected, I was an activist. I looked to recruit women to run for office, I helped write the questionnaires, I helped interview the candidates, I heard the awesome promise of change in their responses. But it wasn’t enough. We are the progressives on the ground, fighting the battles for better policies, working to change the hearts and minds of the people we work with, and on behalf of. We try our best to educate, and moderate, and infiltrate. But it has not been enough. I was in denial too. I thought doing my part meant stuffing envelopes, going door to door and phone-banking every two years for someone else. After the primary and the general election, I went back to the normal rhythms of an overflowing life and crossed my fingers that with these newly elected progressives in office, it would all work out this time. But it wasn’t enough. All we have to do is look at our neighbors to see it isn’t working. Families are being crushed by a financial strain from which it will take an entire generation to recover. People are beginning to talk about climate change, but not much is changing. Our food is filled with chemicals, our meat and milk with hormones, and girls, little girls, are reaching puberty at ages that should be unheard of. We have employers wanting to tell us whether we can access equal health care, and charging us more for it because we are women. Politicians telling us who we can and cannot marry if we are gay while failing to fund the Violence Against Women Act. This assault is all too much. You need to join me. Take the next step, run for office. Yes, you. The one with the family, the job, the crushing load of schoolwork, the fuller than full plate. YOU! Anything less than full participation will not be enough. Now, can you hear I’m talking to you? I need you standing beside me when the doors close to the public, and the negotiations begin. I need you sitting beside me, after the debate ends, the votes are taken and a proposal becomes law. I need your voice to be the voice of all the women, families and children who are voiceless and invisible. I need you to join me. You. I am talking to you. And I am going to make a prediction. 2012 will not just be the year where women voters make a difference, it will be the “Year of the Progressive Woman.” Why you ask? Because our children, and our children’s children can wait no more. The water we drink and the air we breathe can wait no more, our LGBTQ community merely seeking equal treatment can wait for their rights no more, and anything less will not be enough. 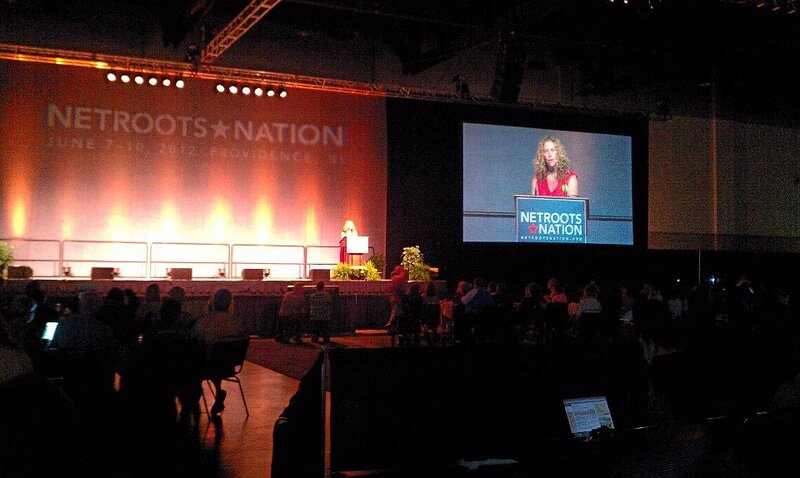 Take all that you have gathered here at Netroots; the ideas, the energy, the contacts. Take it all back to your communities and commit to engaging on a whole new level. You have to, because it is clear that what we, as progressives, have done in the past is not enough. Now is the time to demand more, give more and fight harder than you ever have. Anything less will not be enough.